1Last night saw Hollywood’s A-listers don their best outfits and hit the red carpet for the first major awards ceremony of the year, the Golden Globes. 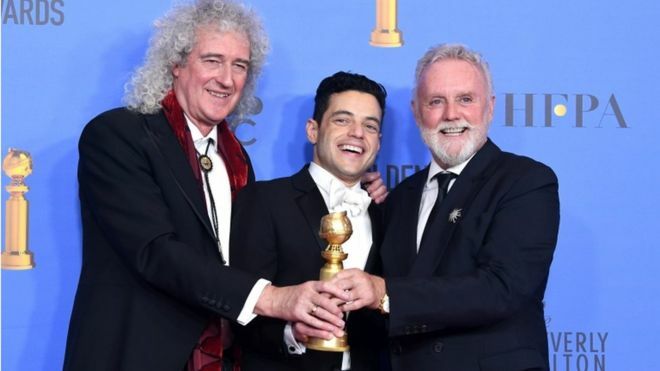 The star-studded event saw gong awarded to established Hollywood icons such as Glenn Close and Michael Douglas, but it was a relatively new star who stole the show – namely Rami Malek, who picked up perhaps the biggest honor of the evening – Best Actor in a Motion Picture. 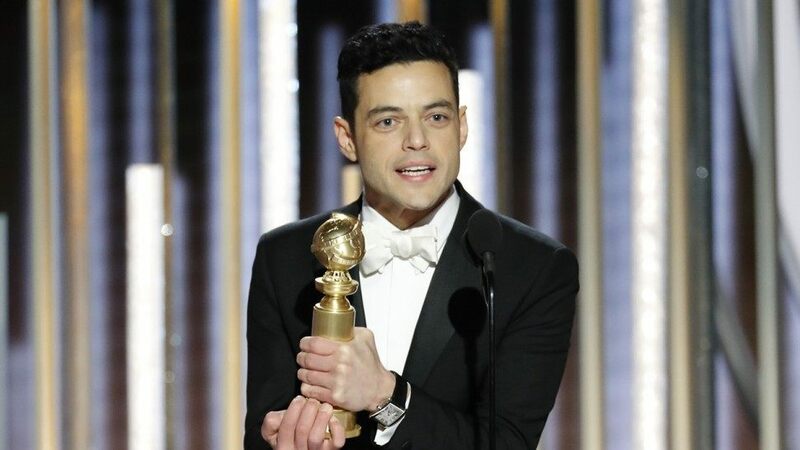 Rami was awarded the trophy for his star role in Bohemian Rhapsody, the biopic of the late, great Freddie Mercury. He was up against the likes of Bradley Cooper, Willem Dafoe, Lucas Hedges and John David Washington to get the award, and it’s a testament to his talent that he came out on top. After the initial shock of the win settled in, the 37-year-old actor did what everyone does at a ceremony like this does and thanked a whole bunch of people involved in the project. However, he made a particular effort to thank the one person who made this whole thing possible – the man himself, Freddie Mercury. Malek closed out his speech by thoughtfully dedicating his award to the man he played on screen. Rami also paid tribute to the surviving members of Queen, guitarist Brian May and drummer Roger Taylor, who still tour with singer Adam Lambert taking vocal duties. Rami sat with May and Taylor for the duration of the glitzy ceremony. He thanked them ‘for ensuring that authenticity and inclusivity exists in music and in the world and all of us’. Following his impressive win, all eyes were set on the Best Picture Award, which coincidentally also went to Bohemian Rhapsody. A pretty good night for those involved with the movie and its production! 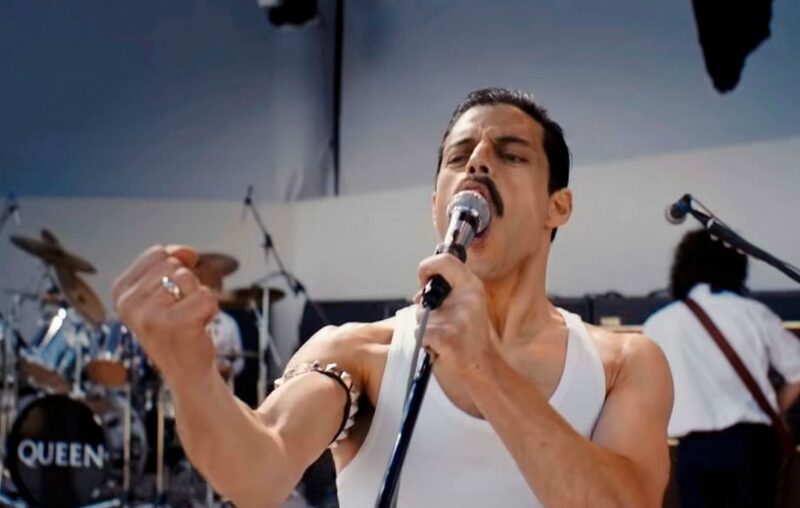 Executive producers Graham King and Jim Beach accepted the award, telling the crowd, much in the same way Malek did, what Mercury and the iconic band he fronted meant to them. “The power of movies is that it brings us all together,” he said. Malek has been widely praised for his portrayal of Mercury, by Queen fans, the general public, and movie critics. Perhaps the highest praise of all came from a little closer to home – Freddie’s former guitarist and creative partner, Brian May. It must be pretty overwhelming to receive that praise from someone who knew the icon so well. Congratulations on your success, Rami. I’m sure Freddie would be proud.